A 69-year-old passenger of the "WEsterdam" has been lost overboard at Glacier Bay National Park and Preserve in Alaska. He was reported missing on July 13, 2018, at 3:50 p.m. when he did not appear for a medical appointment on board- The Park Service was notified 7:30 p.m. in the evening after a ship-wide search confirmed that the passenger was absent. Searches for the unidentified passenger were conducted both from Park Service boats and from the air and ended in the evening of July 14. A crew member was seriously injured last week on a Holland America cruise ship in Italy. 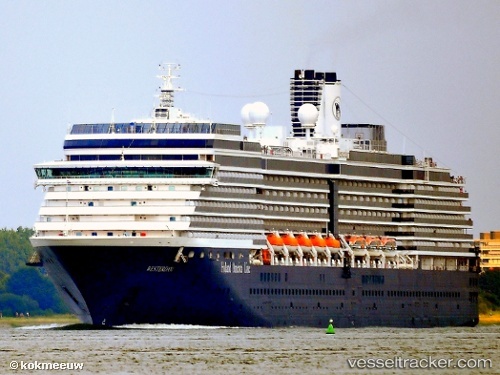 When the Westerdam cruise ship which is operated by Holland America Line had not long departed the port of Civitavecchia, Italy a distress call was sent. The Italian Coast Guard responded to an injured crew member onboard the vessel around 13 nautical miles from Ladispoli. According to the Coast Guard, the crew member was in a state of unconsciousness so needed an urgent medevac.